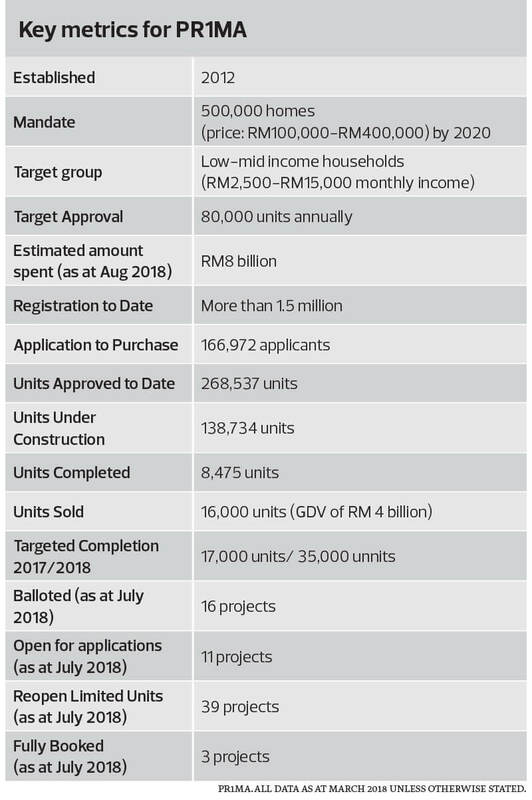 BY almost all yardsticks, the Perumahan Rakyat 1Malaysia (PR1MA) housing scheme has fallen well short of targets. Its poor performance underscores our contention: that the issue of housing in Malaysia is less about availability of houses than affordability of the average household. It is not simply a case of ‘if you build it, they will come’. Many of PR1MA projects are located far away from the city due to high land cost – and may well remain unsold for extended period of time. Take up rate to date is low. There is a limit to reducing the price of homes at the right quality and location. Although PR1MA aims to build houses priced between RM100,000 and RM400,000, many are in fact skewed towards the higher end of this range. Liveability in terms of location, size, quality, connectivity, infrastructure, amenities and facilities are all key to future property value appreciation. Poorly conceptualised and managed housing projects will not create home equity in the long run. Inherent inefficiencies of public sector involvement in what is already a competitive and market driven property sector. Clearly, PR1MA is not able to deliver its envisioned cost savings and reducing home prices, like-for-like when compared with private developers. In fact, costs appear to be higher. The government recently revealed that some RM8 billion has been spent with very little to show. The majority of PR1MA registrants eventually drop out due to their inability to obtain bank financing. Even the Special PR1MA End Financing (SPEF) scheme has low approval rate. The apparent failure of PR1MA to address the low homeownership problem reinforces the root issue – the average Malaysian household cannot afford to buy a home within the limits of most traditional financing options.